One of the "problems" with having a generic CAD software or one that is not specific to the product you use is being able to successfully replicate fascia finishes and colours. 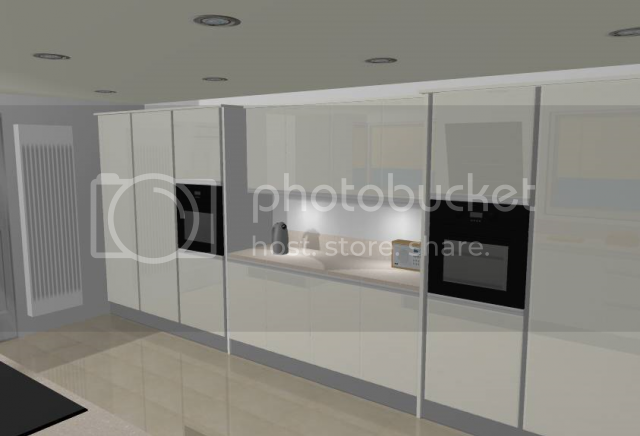 As any Nexus users will know you can fully customise all the cabinets in the menu and create additional sizes and configurations and there is quite a large range of image textures. The problem is, remembering the names of these images and to what colour/finish they relate. As you know, we install mainly Crown so I went on the Crown website on the page where they show the colour samples. Using the Snipping Tool that you get with Windows 7, I selected an area of the colour and saved it as an image in a separate folder on my PC...the all important part being to give the file a name that relates to the colour. Rialto Metallic Oxygen for instance. The image textures for Nexus can be found in C:/ Program Files(x86)/VRKitchen/Textures/Fascias. You simply copy and paste the image you've saved into the Fascias folder and it will appear in the drop down menu when you select Image Texture. 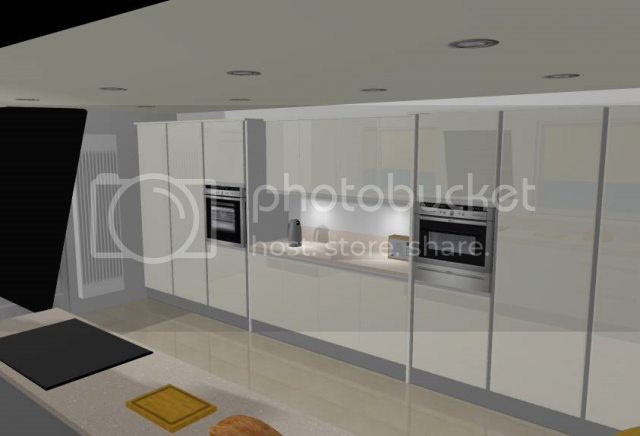 I'm really getting on with Nexus, i'm in the middle of doing a bathroom plan now and it's so easy and quick. OK the renders aren't a patch on some of the stuff posted on here, but it does a great job for a 10th of the price. Not at all! The lads at Nexus freely admit that it's not as advanced as some of the softwares out there but it is very easy to use. It's all about the abilities (and the imagination) of the end user of any software. I had the bright idea the other day of editing one of the items in the miscellaneous menu to look like a 30mm vertical handless profile rail. Now it's been saved in the menu its easy for me just to drag and drop when I'm planning a handless kitchen. Just adding the right final finishes such as flooring and wall colours can set your designs miles apart from any shed design. I've since put a better looking induction hob in there as well!! Stretch can you import google sketchup files in to Nexus. I would have thought you could. There's no facility in Nexus to import files of any description, well not within the program menu anyway. That's why you have to copy and paste images into the Textures folder which is accessible from your own hard drive. It does sound a bit of a faff but it's quite easily done. It's fairly important to find a high res image so that the detail is retained once the image is shrunk down. Stretch is there any quicker way of making another plan, once you have a plan and want to do another, i have to start from scratch inputting the walls. I am wasting time doing it all over each time. Its ok for a basic box kitchen but ones with multiple direction changes are a pain. Ive done a plan and need to make another ( same customer) can i copy the old one having saved it plan A, then make a different Plan B without starting from scratch. ?